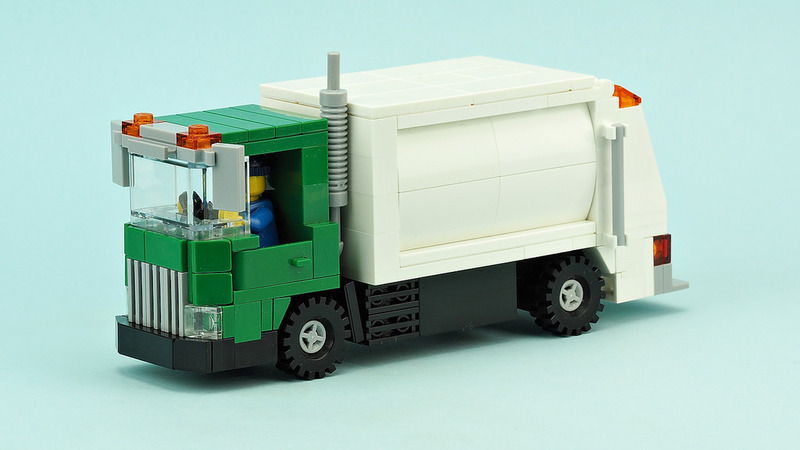 This isn’t the first time that Flickr user de-marco has built a really nifty LEGO garbage truck. Hopefully, this time won’t be the last time either. In the builder’s latest exploration of the genre, there’s a push towards a more avant-garde garbage truck. From the curved sides to the grab rail on the back, this type of vehicle is certainly familiar to any city dweller.